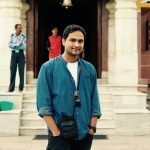 How to increase customer conversions from your online training? You can be a successful marketer or an expert trainer. You can be good at driving customer engagement. However, your skills managing and converting business leads are severely compromised when the technology you’re using to engage with your prospects is isolated from the system that aids in lead management. A recent study among sales and marketing professionals indicates that automating your lead capturing ecosystem results in a 3x increase in lead conversions and a 41% boost in revenue generation. This is why it’s vital that the virtual training software that helps you connect with your worldwide audience also comes with the unique ability to automate your CRM. 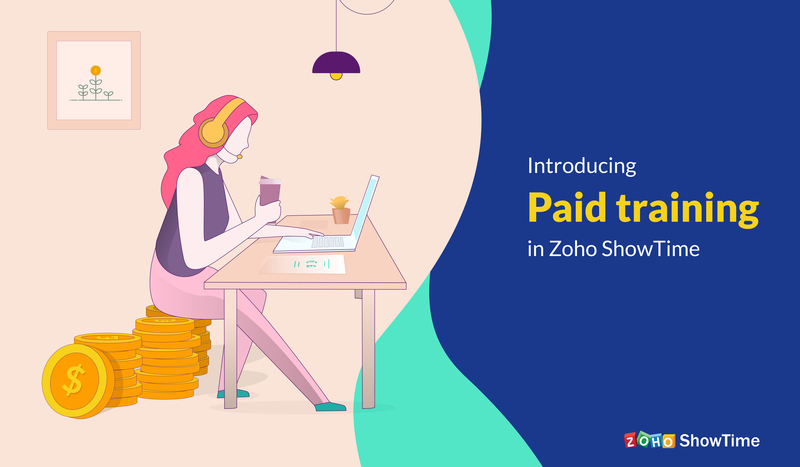 And this is why we’ve integrated Zoho ShowTime with our popular customer relationship management application–Zoho CRM. Whether you’re inviting your customers to an onboarding webinar or qualifying potential leads from your training, ShowTime makes your life easier with this exciting new integration. Let‘s take a look at a list of strategies and processes that will power your sales funnel and help you increase customer conversions. Invite your focus group: When it comes to product training, it’s not enough to just have impressive content. It’s crucial that you also get it in front of the right audience. Picking the best client segment takes you closer to signing a deal, as they’re already interested in your offerings. To help with this, ShowTime now lets you invite a specific group of people from your CRM contact list to your webinars and trainings. Forge stronger relationship: Once you’ve assembled your target audience, your focus should be on presenting strong content. Establishing real-time interaction inside a virtual classroom should be the least of your worries. With robust live engagement features, ShowTime let’s you remotely build rapport as easily as you would face-to-face. 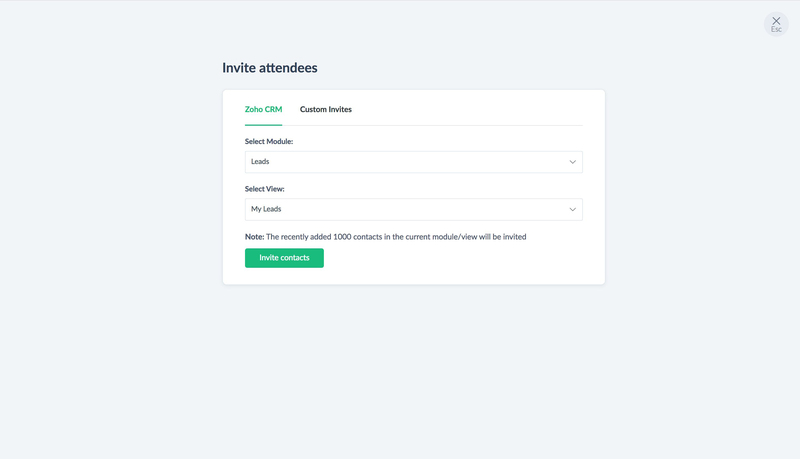 Make data-driven decisions: After your session ends, all the data about your registrants, attendees, and their level of engagement can now be populated in your CRM account, instantly. The customer insights drawn from this engagement data help you qualify your leads. You can then reconnect with those who are more likely to convert to paying customers. A tightly integrated customer engagement strategy will undoubtedly be a prime factor in accelerating business growth. 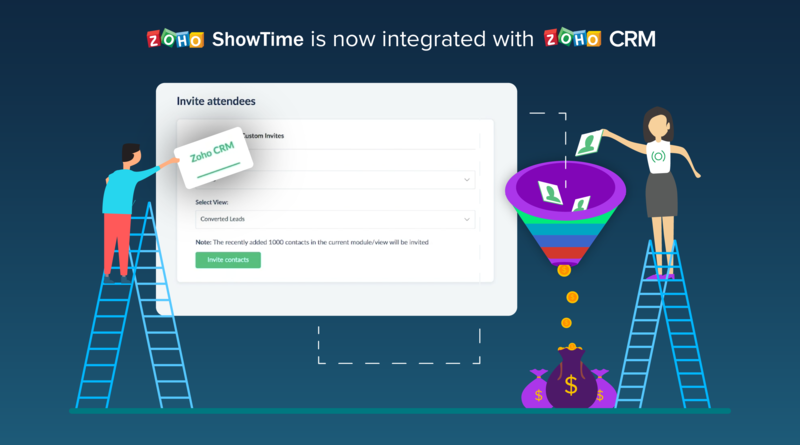 At the heart of it, ShowTime’s integration with Zoho CRM was designed to provide extraordinary convenience without comprising on a superior user experience. To learn more about this integration, read our detailed user guide. You can also share your feedback about this integration by emailing support@zohoshowtime.com. Click here to compare our pricing plans or get started with a Free Trial right away. Zoho ShowTime is a web-conferencing solution that brings your virtual training to life. Follow ShowTime’s Community page to receive regular news about our product updates, as well as user tips and tricks.